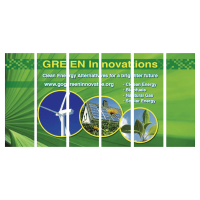 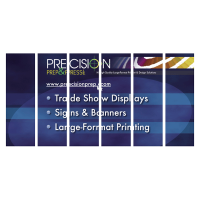 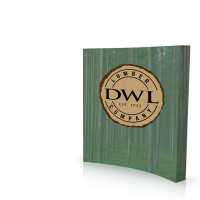 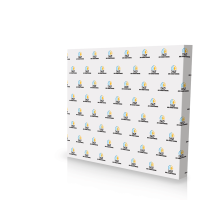 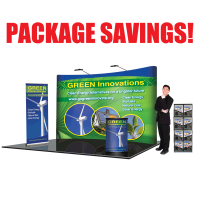 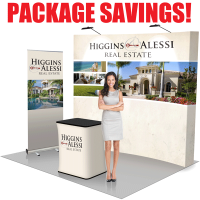 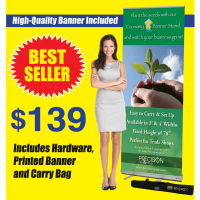 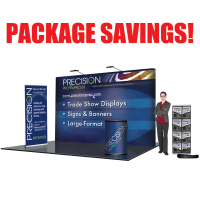 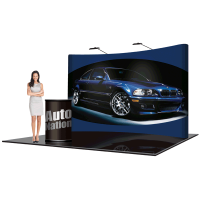 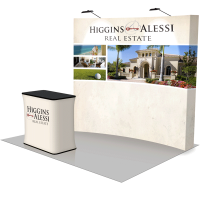 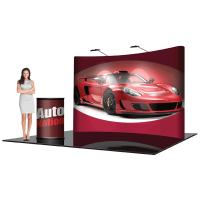 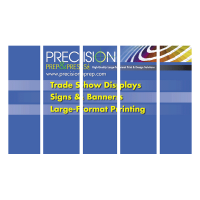 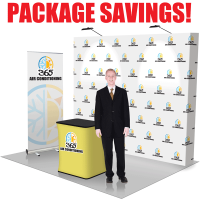 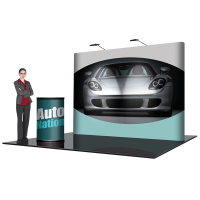 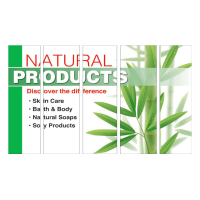 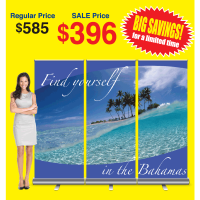 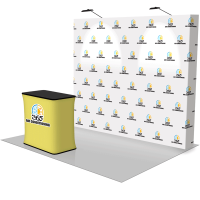 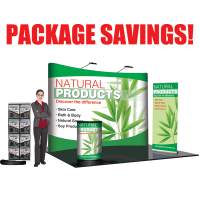 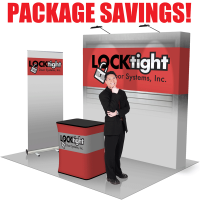 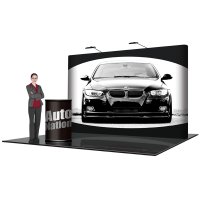 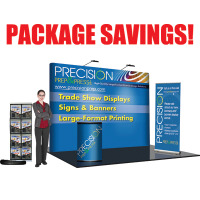 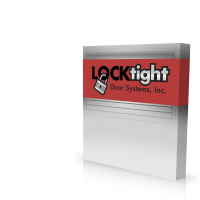 Save BIG with this 8' Curved Fabric Trade Show Package! 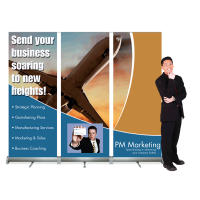 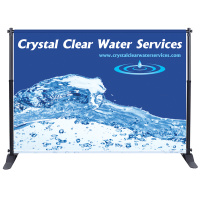 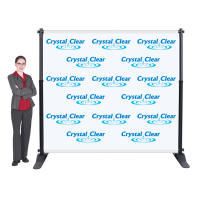 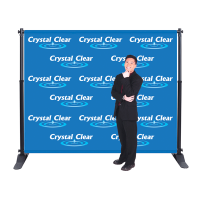 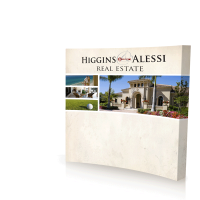 The washable fabric graphic attaches to the aluminum frame with sewn-in velcro and can remain attached when collapsed. 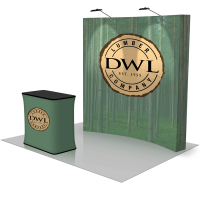 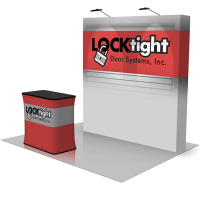 Includes wheeled hard-case podium, podium wrap, LED Lights and a 3' fabric banner stand.